In this oil pastel painting project, you will learn how to make some basic marks with your oil pastel, and layer and blend colour to give a realistic effect to your work. 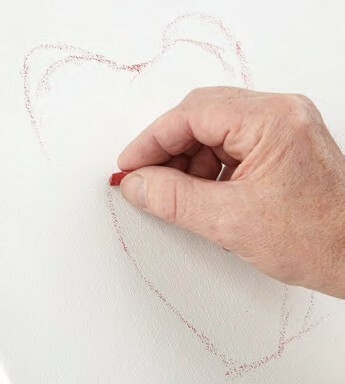 Finger blending helps to push the oil pastel into your painting surface. 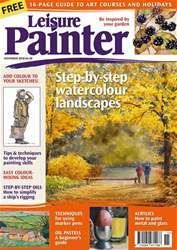 For this project, the canvas surface is quite coarse, so the blending process helps to ingrain the colour into the canvas. 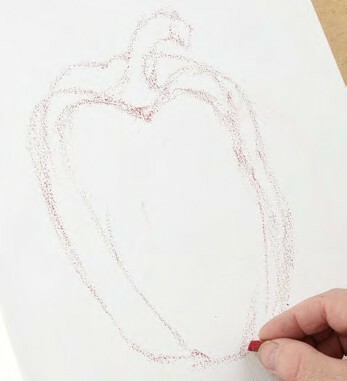 Draw in the main shape of the pepper with the ruby red pastel.